Would you like to save 60% on your dental treatment? Nowadays, dental implants are the most adequate method of replacing missing teeth. Learn more about dental implants, so that you are well informed before your surgery. Dental implants replace teeth if they are damaged or fell out for some reason. Dental implants are screws made of titanium which are inserted into the jaw bone in the framework of a surgical intervention. 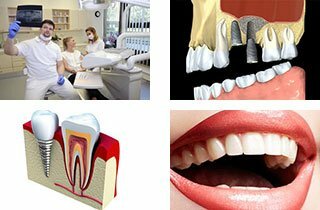 Getting dental implants abroad is an optimal solution, as one can save a great amount on the costs of dental implantation and receive a high quality dental treatment. Learn everything about dental implants and get all the necessary dental implants information in our numerous articles below! Are dental implants considered cosmetic? How much is a dental implant? Visit Budapest and consult with us. Don’t miss the opportunity, because our prices for dental treatments are 40 – 60% cheaper and you can meet your dentist personally. We will answer all your questions. You receive accommodation for one night, transfers, a customized treatment plan and an x-ray just for 88£ (or 99 Euro).